Scotland is famed for its fantastic scenery, islands, hills, mountains and get-away-from it all feel. There are also plenty of roads that offer great routes for quiet cycling. Why not pick one of our favourite cycle routes in Scotland and head off for a day or two of fabulous touring? This route follows the NCN (National Cycle Network) Route 7. It is a mix of roads and traffic-free paths. The ride takes you through both of Scotland’s acclaimed national parks, Loch Lomond and the Trossachs and the Cairngorms, with a huge variety of beautiful countryside and wildlife. You’ll also pass six lochs, multiple castles and cycle over the famous Glen Ogle viaduct. The route has its fair share of long climbs but equally, there are some great descents. Start/Finish: CalMac ferry terminal at Ardrossan, Ayrshire. A legendary bike ride is this island-hopping route on Scotland’s west coast. The route, as the name suggests, includes five short ferry crossings and 4 cycle sections across the mainland of Scotland. Many people ride the route in one day, which is possible if you time the ferries and your cycling carefully. Alternatively, you can take your time and overnight on the islands. A CalMac ferry takes you from the mainland at Ardrossan to Brodick on the Isle of Arran, where you cycle 15 miles to Lochranza. The next ferry heads to Claonaig on the Kintyre Peninsula. From Claonaig to Tarbet is 10.5 miles before a ferry to Portavadie on the Cowal Peninsula. The ride to Colintraive is 19 miles and includes a long hill climb with fabulous views over the Kyles of Bute. Another ferry journeys to Rhubodach on the Isle of Bute and then you ride 8 miles to Rothesay. The last ferry of this trip heads to Wemyss Bay and then a bike ride of 18.5 miles back to Ardrossan. Alternatively, you could take the train from Wemyss to Ardrossan. The Scottish C2C was created by the same founders as the popular English C2C this is a new waymarked long-distance route for Scotland. It takes cyclists through the beautiful rolling countryside of southern Scotland, starting in the small town of Annan on the coast in Dumfries and Galloway and heading north through three valleys, the Annan, Tweed and Esk. The route then reaches the Scottish capital city of Edinburgh and on to the Forth Bridge, which is one of the great wonders of the engineering world. You could easily start the route in Edinburgh and head south to the coast of Dumfries and Galloway. See the route guide book, The Ultimate Scottish C2C Guide, priced £11.50 from Bike Ride Maps. The Breadalbane “High Ground” area of Perthshire boasts breath-taking scenery and lots of lovely quiet roads. The full 100-mile route is a big undertaking in a single day although some riders will be up for the challenge. For easier days in the saddle, split the route into a few sections over two of three days. In the summer, an Explorer Bus allows cyclists to access different start and finish points, such as Crieff, Comrie, Killin and Aberfeldy. Scotland’s answer to America’s Route 66, the NC500 travels just over 500 miles in the stunning north-west of Scotland. First created for drivers, the route has become a popular goal for cyclists. Most cyclists take a week to ride it, although others will be keen to cover it in less time. The circular route can be completed clockwise or anti-clockwise and meanders through the counties of Caithness, Sutherland and Ross-shire. Be prepared for long hill climbs and fabulous landscapes. July 26, 2016 – The 2016 Tour de France wrapped up on Sunday with Chris Froome (SKY) celebrating his third overall win of this prestigious race. 1. The riders conquered 80 km/h winds, 3 rainy finishes, 1 hail storm and 1 day of 35C/95F heat. 2. Stage 11 was the fastest with an average speed of 46.65 km/h while Stage 18 was the slowest speed at 29.58 km/h. 3. Riders climbed a total of 8,500 m in elevation of categorized climbs in the Alps which is equal to 26 Eiffel Towers. 4. Dimension Data Big Data truck traveled 4,892.5 km and processed 127.8 million data records in its cloud. The 22-person data team used 12 collaboration tools to work with colleagues around the world and coordinate a 24-hour testing and development cycle to keep up with the race. You can view Dimension Data’s graphic list of facts from the 2016 Tour de France above. The defining image of this Tour de France. Few would argue that this was a Tour for the ages, but the sight of the maillot jaune running up Mont Ventoux without his bike is an image that immediately etched itself into the rich tapestry of the race. It was the most dramatic moment by some distance – the leader of a team synonymous with control being plunged into utter chaos. According to the rules a rider must finish with his bike but there was no time for logical thought here – this was just a desperate bid to reach the sanctity of the finish line. It was absurd, comical even – one of those moments of madness the Tour does so well. The chaos ensued on the mountain for a good hour as the commissaires bashed their heads together, and it looked for a while like Froome might lose the yellow jersey. Once the decision had gone his way, he refused to speak to the press and got straight in a team car – telling, perhaps, of the psychological impact of the pandemonium. The four stages in the Alps were set up to provide a thrilling conclusion to the fight for the yellow jersey, but they were beginning to feel like a sleepwalk to Paris until Romain Bardet brought the race back to life in the shadow of Mont Blanc on Friday. In fact, we should probably credit Mickaël Chérel with the actual ‘moment’ here, as he was the one who had the idea of attacking on the descent ahead of the final climb, telling his teammate ‘follow me’. Despite a moment’s hesitation – “Don’t take too many risks” – Bardet jumped on board wholeheartedly as chaos ensued behind, with Froome among those to crash. The Frenchman, now solo, made his way up the climb with no knowledge of the time gaps, just riding on instinct, and was rewarded with the stage win and a leap from fifth to second. Bardet quickly became the story of the Tour here in France. It was his face – not Froome’s – on the front page of L’Equipe three days in a row as a nation malnourished in terms of home success in recent years basked in the 26-year-old’s coming of age. Mark Cavendish‘s Tour de France was already a roaring success before he even began to wind up his sprint in Villars-les-Dombes. The Dimension Data rider, who faced doubts about his form and focus with the Olympics on the horizon, had already won three stages, but the fourth made this his most fruitful return since wearing a HTC jersey. The clock had been wound back and this was the Cavendish of old. There was a difference in the manner of the victories – the dominant sprint train making way for a more inventive approach – but the outcome was the same as the 31-year-old stamped his authority on the majority of the bunch sprints. Between 2008 and 2011 he averaged five stages annually, while in the subsequent four-year period from 2012 to 2015 he managed just six in total. This was a return to the hauls of old. It was also of massive psychological import to beat Kittel on each and every occasion, having never got the better of the German head-to-head before. When Kittel burst onto the scene a few years ago he announced himself as Cavendish’s successor, and earlier this year he seemed to confirm himself as the fastest in the world. Now that doesn’t seem so certain. Amid the memories of the collective might of Team Sky, it might be easy to lose sight of the fact that flashes of individual flare played no small part in Chris Froome‘s victory. Sky’s ability to practically rest and rotate luxury mountain domestiques did often subdue the spectacle, with offensive riding largely neutralised, but it would be harsh to label Froome ‘boring’ when he had the gumption to attack and gain time on a descent and on a flat stage. His furious top-tube pedalling on the way down the Col de Peyresourde could be seen as a microcosm of his contest with the other main favourite, Nairo Quintana – one rider sitting up and taking a bottle, watching and waiting, while the other was striking out and winning the race. Seeing the maillot jaune away in a four-man group in the crosswinds with the world champion at the end of a flat stage was more absurd still. Many questioned the risk/reward of the attacks but there’s little doubt that for a rider like Froome, who likes to get ahead early, they had significant psychological impact and won him increased appreciation in the public eye. We mentioned earlier that this wasn’t one of the most excitement-filled Tours of recent years, yet that may all have been so different if it hadn’t have been for the early exit of Alberto Contador. 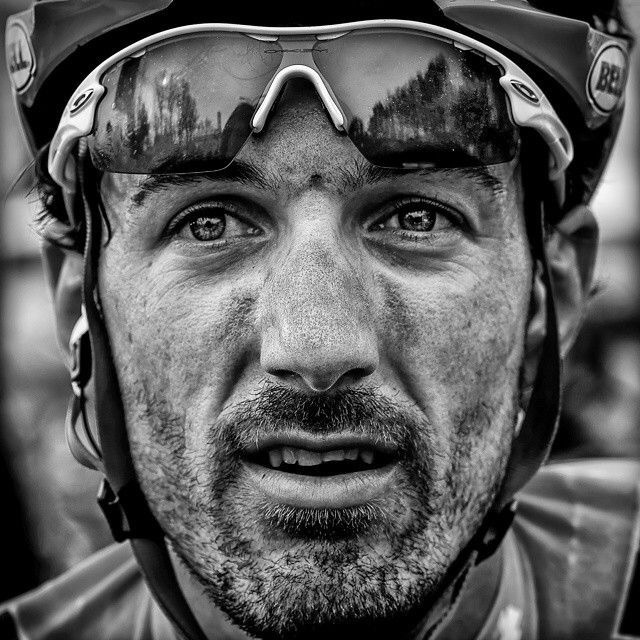 The two-time – three if you ask him – Tour champion crashed heavily on the opening two stages and eventually abandoned with illness on first day in the Pyrenees, and you sense the race thereafter was poorer for it. Froome was in a different league to most of his rivals here – only Nairo Quintana was considered a true threat, and his race petered out in disappointing fashion. With Contador, it surely would have been different, even if he wasn’t as strong as Froome or his team as strong as Sky. The Spaniard is more attacking and adventurous than Quintana, more willing to take risks and take the race to his foe, and you sense that he’d be more likely to get inside Froome’s head and possibly throw him off. It’s difficult to really pinpoint one major ‘moment’ in what was really one large damp squib of a Tour for Nairo Quintana. The Colombian wanted to avoid losing time early on like he had done last year, and be able to hit Froome in the Alps in the last week. As it was, Froome still managed to carve out an advantage and Quintana once again arrived at the second rest-day with a deficit of around three minutes, his powder very much still dry. At Movistar’s press conference on that rest day he claimed he had a plan for the four-part Alpine climax, and there was talk of a possible coalition with Astana. Any excitement about Quintana applying the pressure he had done late last year, however, dissipated when he was dropped on the final climb to the Emosson dam. He played the waiting game for a further hour and a half as he struggled to do the necessary to provide an anti-doping sample and when he did emerge he revealed he was struggling physically – which he later claimed was allergy-related. He told us there was many years left for him to win the Tour and with that, the race for yellow ceased to be a contest. The pandemonium on Ventoux was still fresh in the mind but it would soon seem almost trivial as news filtered through overnight of the terrorist massacre in Nice. Suddenly, the cut and thrust of elite-level competition seemed to fade into insignificance. It was only right that the Tour continued in a statement of defiance against those who try to disturb our peace and make us live in fear. Froome pretty much sewed race up on the stage 13 time trial but the atmosphere was strangely subdued and he again refused to speak to the press besides offering a brief statement on the attacks in the city where he lives. Nevertheless, bringing the yellow, green, white, and polka-dot jersey wearers out onto the podium for a minute’s silence was a powerful moment. The Red Hook Crit is more than just a serious race attracting pro and amateur riders alike from all over the world. It’s also a trendy party full of spandex-clad tattooed bods with great legs riding chic single speeds.